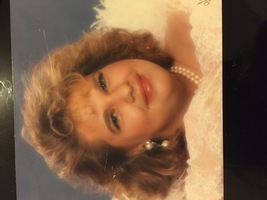 Provide comfort for the family of Jennifer Beth Lindsey with a meaningful gesture of sympathy. Obituary written by loving family. 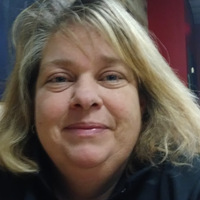 JENNIFER BETH LINDSEY, 44, of Camp Hill Pa, died on Monday March 18, 2019.. Born October 3, 1974, she was the daughter of Douglas J Lindsey of Ponce Inlet, Fl. and Wellesley Island, NY and the late Judith D. (Hash) Lindsey who passed in 2009. Jennifer was formally from Fulton NY where she attended High School; she graduated from Onondaga Community College. For several years, Jennifer worked as a mortgage underwriter for Home Bridge Mortgage, Inc. She enjoyed boating and family outings on the St. Lawrence River around Wellesley Island NY. She loved travelling with her daughter Emma and singing in church choirs. Two Brothers, Douglas W. Lindsey (Wife Debra) of Fulton NY, Daniel J Lindsey of Philadelphia NY. Her father’s wife Lynne Trautwein Lindsey of Ponce Inlet, Fl. and Wellesley Island, NY. A graveside service will be held in Pennsylvania and a memorial service on Wellesley Island at the convenience of the family. Her arrangements have been entrusted with Harkins Funeral Home, Delta Pa.
To plant a memorial tree in honor of Jennifer Beth Lindsey , please visit our Heartfelt Sympathies Store. We encourage you to share your most beloved memories of Jennifer Beth here, so that the family and other loved ones can always see it. You can upload cherished photographs, or share your favorite stories, and can even comment on those shared by others. Our deepest sympathy from the Davis family. We cherish the family bond that spans multiple generations. Greg Davis and family.